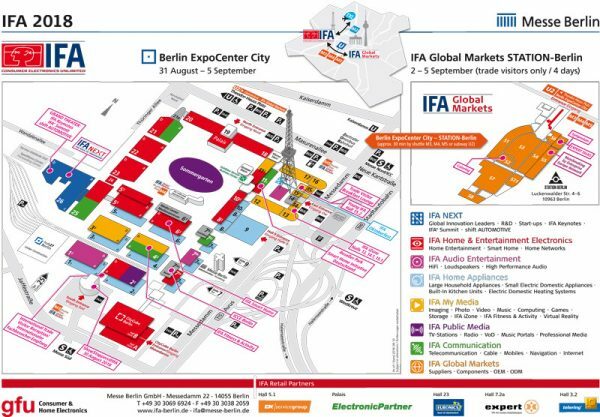 IFA 2018 Trade Fair Report – New IFA Hardware 2018, Virtual Reality, IFA 2018 Audio, Video, Smartphones and much more! If you like, you can also browse the CeBIT 2018 Coverage and gamescom 2018 Report and further trade fair reports. The picture shows the IFA hall plan with the exhibition halls in Berlin. Here are the most important Hardware News.